Josh Chigwangwa: THE HOUSING MARKETS AND HOW THEY CONTRIBUTED TO THE GLOBAL ECONOMIC CRISIS ? THE HOUSING MARKETS AND HOW THEY CONTRIBUTED TO THE GLOBAL ECONOMIC CRISIS ? "THE HOUSING MARKET IN THE US AND BRITAIN AND SUB-PRIME MORTGAGES INCLUDING THE ROLE OF SECURITASATION AND COLLATERALISED DEBT OBLIGATIONS "HOW THEY CONTRIBUTED TO THE GLOBAL ECONOMIC CRISIS? The effects of the cold war have seen a new dimension in global politics and the unprecedented challenges in global co-operation and international trade leading to the historic collapse of global financial powerhouses and financial systems. The global economic crisis which began in 2007 has been linked to the rapid economic slump of major economies across the world. It suggests the crisis emanated from the Housing markets in the USA and rapidly spread to Great Britain and other parts of the World. The financial crisis of 2007-2009 has been called by leading economists the worst financial crisis since the one related to the Great Depression of the 1930s. The collapse of the global housing bubble, which peaked in the US in 2006, caused the values of securities tied to housing prices to plummet thereafter damaging financial institutions around the globe. Analysts argued and believed that the roots of the crisis could be traced directly to sub-prime lending by State entities, Fannie Mae and Freddie Mac, the US biggest underwriters of home loans among low and moderate income earners. Wikipedia also refers to Sub-prime lending as the credibility or quality of particular borrowers, who have weakened credit histories and are at greater risk of loan default than prime borrowers. Paul Krugman (2008) suggests, the housing bubble started when house prices started rising indiscriminately, as homebuyers took on mortgages they could not afford, fuelled by low interest rates and a departure from traditional banking practises which resulted in an upsurge in unsecured housing loans. Buyers were given loans requiring little or no down payment, and with no regard to creditworthiness, or ability to repay should the economy reset. He further argues that lenders came to believe that because of ever-rising home prices, borrowers in times of difficulty could either take out home equity loans to get more cash or just sell the home equity loan to pay off the mortgage. Robert J. Shiller (2008) also argues that the impact of the loose monetary policy was amplified by the large number of adjustable-rates mortgages issued after 2000, particularly to subprime borrowers. He suggests that these mortgages were more responsive than fixed-rate mortgages, to cuts induced by the US Federal Reserve, triggering a boom. Borrowers had high expectations of compensation from rapidly increasing house prices and were also thought to be able to permit them to refinance at even lower rates. Paul Krugman (2008) further argues that Lenders were involved in speculative lending, as they did not hold on to loan portfolios, these were on-lent or sold on to ignorant investors, as part of Securitization. Wikipedia defines Securitisation as financial innovations in which banks essentially sell mortgages to homebuyers and distribute risk to investors through mortgage backed securities (Wikipedia, 2009b). This meant that those issuing mortgages were no longer required to hold them to maturity, by off-loading these to potential investors, allowing the banks to replenish their funds and thus enabling them to issue more loans and generating transaction fees. It is argued that this may have fuelled the bubble as it accelerated substantially prior to years leading to the crisis. Securitisation was pioneered by Fannie Mae, a State-sponsored lending agency and was traditionally confined to prime mortgages. Krugman suggests that financial innovation that made securitisation of subprime mortgages possible was the collateralised debt obligation, or CDO. CDOs offered shares in the payment from a pool of AAA rated mortgages, but saturated with dubious and unsecured mortgages. This fuelled large scale financing of subprime lending from many institutional investors, such as pension funds and local authorities, resulting in the overvaluation of housing by more than 50% prior to the crunch. In reality, this meant that properties purchased during the bubble, ended up with negative equity, triggering massive involuntary defaulting by borrowers and the collapse of the shadow banking system. Paul Mason (2009) suggests that this burst caused a sudden rush of speculative capital into commodities and hedge funds.ie the shadow banking system. The subsequent bursting of the commodities bubble resulted in the acute starvation in villages across the developing countries and political disorientation. Robert J. Shiller (2008) also argues that the rating agencies that pass judgement on securitized mortgages persisted in giving AAA ratings to mortgage securities that ultimately were vulnerable because they too believed that there would be no bursting of the bubble. Shiller attributes the crisis to the failure of regulators to rein in aggressive lending. He also argues that since the Depository Institutions Deregulatory and Monetary Control Act of 1980 effectively ended state usury laws, thus making it possible for Lenders to reap super profits with subprime lending by charging exorbitant interest rates to offset the costs of the inevitable defaults and foreclosures. Thomas (2007) suggests that the UK was adversely affected and among major economies hit hardest, following market corrections in the US housing crisis and its impact on the global economy. A substantial number of UK companies had invested substantially in the US housing market and off-shore in Icelandic banks. The increase in mortgage defaults at the subprime end of the US market meant institutions that bought up large packages of these debts were forced to close or bail-out exposed funds. The Times-Online (2008), reports that the endemic fraud in the UK housing market also proliferated. This rampant practice led the Financial Services Authority to ban at least two mortgage brokers for submitting false applications to lenders. This followed over 200 complaints of mortgage fraud allegations by Lenders to the Financial Services Authority. Green S. (2008) the HSBC Group Chairman issued a statement that the UK economy was experiencing the worst economic downturn in well over half a century. He argues that it marked the first crisis era of globalised securitisation and also marked the first just-in-time global economy as the impact of the financial crisis fed rapidly straight into the performance of the real economy. He attributes the cause of the crisis to the global financial imbalances that rose from the accelerating global shift towards emerging markets which had created a macro-economic triangle consisting of major consumer markets. Green argues that huge global savings were invested in US dollars, which kept rates low and cheap. This cheap money fuelled consumer boom and rising house prices, characterised by increased borrowing by banks and consumers, fuelling asset price bubbles in housing markets. The complexity of financial instruments had peaked beyond the capacity of experienced bankers leading to sloppy risk assessments. Finally, Green also suggests that it was the result of excessive and unchecked gearing, which resulted in over-gearing and hence dependence on wholesale funding. The eventual collapse resulted in banks crowded with assets they could neither sell nor fund, forcing huge losses on housing markets. Fulcher (2009) argued that the bankruptcy of rock solid US financial Institutions such as Bear Stearns, Merrill Lynch and Lehman Brothers, Mortgage Finance corporations like Fannie Mae and Freddie Mac and Global Insurance giants such as AIG, signalled the collapse of the global finance systems. The crisis spread rapidly causing global financial panic. Banks became reluctant to lend to each other, sending liquidity shock waves through the whole economy. This hoarding of capital caused the financial system to freeze. In the UK, private sector financed capital projects came to a halt, causing despondency and spiralling unemployment. The Government was forced to rescue most of the projects as they are linked to the successful hosting of the 2012 London Olympics. The extent of the impact of this crisis on the global economies meant that unprecedented and extraordinary responses were involuntarily required to find lasting solutions to the challenges. The US government was forced to bail out insurance giant AIG following the collapse of Lehman Brothers. The UK experienced the shock waves following the collapse of Northern Rock, forcing the bail out from Treasury to avert the collapse of the financial system. According to Sam Flemming (Daily mail 2009), the Bank of England pumped £200bn of fresh cash into financial markets and pegged rates at just 0,5% to prop up the economy. (The scale of this crisis unearthed serious flaws in the management and control of financial sectors in economies around the globe. The financial monitoring mechanisms failed to flush out the problem at its infancy stages, rendering them irrelevant and in need of major overhaul. The risk management and assessment mechanisms, including stress tests which needed reforming to address the challenges emanating from adverse outcome. Adair Turner (Mail Online, 2009) Chairman of the UK Financial Services Authority suggested that banks that are too big to fail may need stricter capital requirements than smaller rivals and was also broadly in favour of the EU proposals to tighten financial supervision across the continent. The overview of the global financial crisis has led Analysts, Experts and governments introspecting on the broad concept of global capitalism, as a leading philosophy in driving International trade as well as global financial reforms. 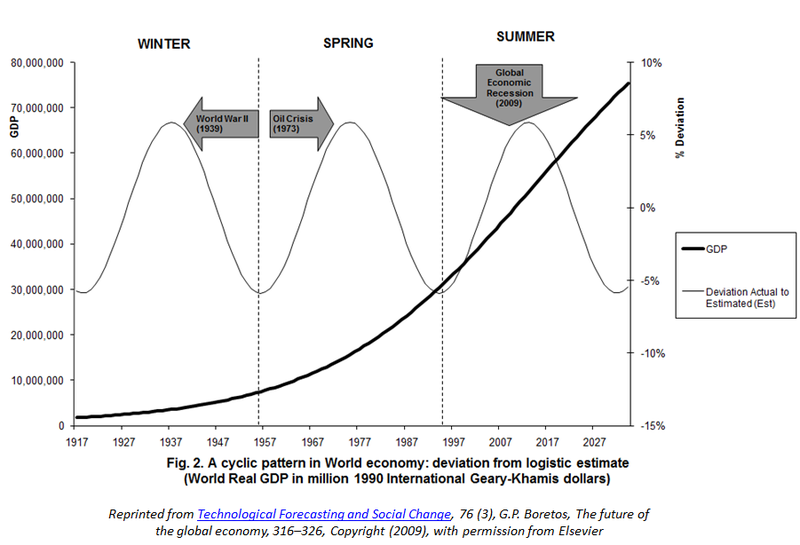 Fulcher (2009) suggests that the capitalist world economy’s failures have led some to suggest that the capitalist system may be in danger of collapsing. He however, argues that the history of capitalism is littered with episodes of financial crises and economic depressions. He suggests that the complex global environment will always characterise capitalism and will continue to do so. He also suggests that global reforms require an engagement with capitalism because of its global dominance. China’s entry to the capitalist world economy, with its huge reserves of cheap labour and substitutes, has transformed global financial trade and emboldened the dominance of capitalism. Mason (2009) suggests that the challenges of finding a better model always confront us during periods of recession and financial crises. Policy makers need to draw important lessons from this crisis and take bold measures to reform the global financial systems, adopt effective intelligence models and monitoring mechanisms. The need to reign in laws and sound operational global co-operation to ensure compliance is as vital as dealing with a crisis ounce it has kicked off. The ripple effects of a global financial crisis affect across nations and require global interaction and solutions for it to be effective. The initiatives taken by the G20 Nations to find lasting solutions to the crisis are commendable. (Guardian Online News 2009) US President Barrack Obama, in his speech on financial regulation, recommended a raft of measures aimed at address the challenges of the global financial crisis. He announced the setting up of the Consumer Protection Agency to act as a consumer scrutiny and strengthening of financial monitoring mechanisms. (G-20.org On-line News 2009) The G-20 communiqué further details the G-20 Framework designed to manage the transition from crisis response to stronger, more sustainable and balanced growth for global financial systems with close co-operation with the IMF, World Bank and key agencies such as the Financial Services Board. The G-20 also viewed as critical, the need to have co-operation from both developing and developed countries in adopting common approaches to tackling the crisis as well as positively reviewing capacity building mechanisms to support the efforts of developing countries. Brummer A. (2009) The Crunch. How greed and incompetence sparked the credit crisis: London, Random House Business Books. Fulcher, J. (2009) Capitalism: A Very Short Introduction: Oxford: University Press.Krugman, P. (2008) The Return of depression Economics and the crisis of 2008: London: Penguin Books. Shiller, R.J. (2008) The Subprime Solution. How Today’s Global Financial Crisis Happened, and What to Do about it: Oxford, UK: Princeton University Press. Mason, P. (2009) Meltdown: The end of the age of greed. London: Verso. Ben S. Bernanke (2009) Chairman’s speech at the Morehouse College, Atlanta, Georgia.14 April. Available at: http://www.federalreserve.gov/newsevents/speech/bernanke20090414a.htm. Accessed on 14/11/2009. Financial Times (2007) Equity income hit by fallout from US housing crisis. Available at: http://www.ft.com/cms/s/2/c7baea48-57e2-11dc-8c65-0000779fd2ac.html Accessed on 21/11/2009. Housing News Live (2009) Housing News [Online] Housing Market Crush in US. Available at: http://www.housingnewslive.com/housing-market crush-in-us.php. Accessed on 2009/11/12. HSBC Annual Review (2008) Group Chairman’s Statement. Available at: http://www.2008.annualreview.hsbc.com/chairman_statement/index.html Accessed on 21/11/2009. Wikipedia, the free encyclopaedia (2009b) Financial crisis of 2007-2009. Available at: http://en.wikipedia.org/wiki/Financial_crisis_of_2007_&_2009. Accessed on 2009/11/14.